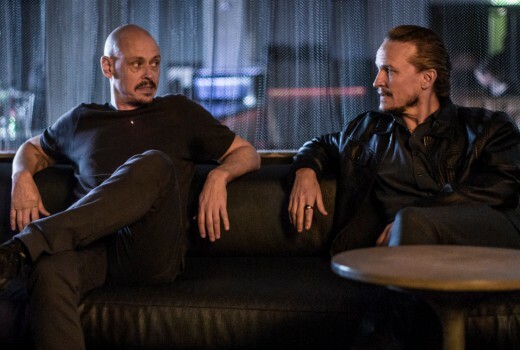 New Aussie drama Mr Inbetween has been renewed for a second season just 2 weeks after its debut. Eric Schrier and Nick Grad, Presidents of Original Programming for FX Networks and FX Productions, and Brian Walsh, Executive Director – Television, Foxtel have jointly renewed the series created by and starring Scott Ryan as hitman “Ray Shoesmith”. Produced by Blue-Tongue Films & Jungle Entertainment, the series is directed by Nash Edgerton. The second season will premiere in 2019. The series was shot in Australia and produced by and Jungle Entertainment, in association with FX Productions, Screen Australia and Create NSW. Ryan, Edgerton and Jason Burrows are Executive Producers and Michele Bennett is Producer.